About 12:45am 25th January 2011. Snatched from Driveway by two men or youths in a Saloon Car or hatchback. The main radio under the seat wasn’t touched, as no doubt they thought it was a GPS. These radio sets are very rare in Ireland, as very few ever imported. They have not been made for some years. Replace Head/Display units are not available. This may even be the only one in all of Munster. 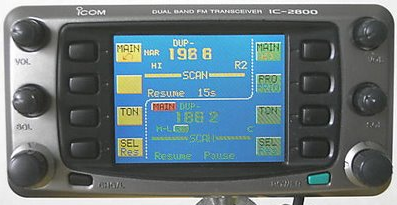 It’s an Amateur Band two way radio for 430MHz and 145MHz. If you have any information, please contact Roxboro Garda Station in Limerick City or use the Contact form here if you wish be anonymous. No confusing nonsense purely about Freeview as Tesco have!